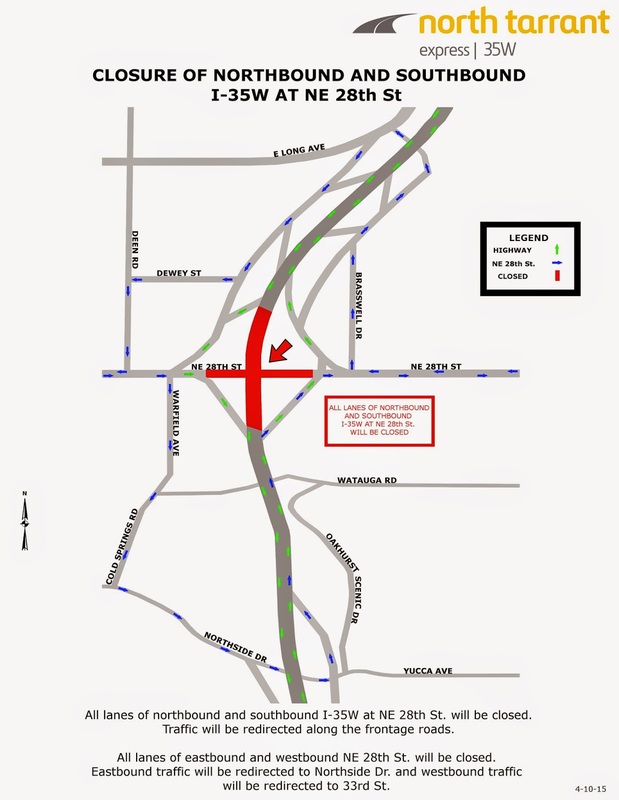 Next week North Tarrant Infrastructure will be performing bridge work at 28th St. over I-35W. 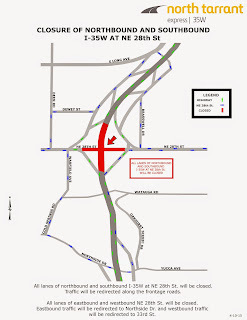 In order to complete this operation all lanes of northbound and southbound I-35W at NE 28th St. will be closed Monday-Thursday, May 11-14 from 9pm-5am (nightly), as well as Friday-Saturday, May 15-16, from 9pm-10am (nightly). Wednesday, May 13 will serve as a backup date should there be inclement weather. Drivers are encouraged to “Know Before They Go” and visit www.northtarrantexpress.com for upcoming closures. To view detour maps, please visit the Alternate Route Map page of the website. Also, as lane closures are updated frequently, please visit the Lane Closures page on the website daily for the most current information.